flydubai operates routes to more than 90 destinations across the Middle East, Subcontinent, Africa, Russia and Eastern Europe. 5 years after its inaugural commercial flight, flydubai is now making more than 1,400 flights a week with over 500 pilots and 1,000 cabin crew taking thousands of passengers to destinations throughout the region. Working closely with senior stakeholders, Propel defined the success profile and managerial qualities that would drive success within the operation. Design then commenced on a blended learning programme, front-ended by rigorous assessment and complemented by a one-to-one personal effectiveness coaching sessions. Upfront diagnostics were used as part of a 2-day Development Centre, combining a range of simulation exercises, interviews and group activities. 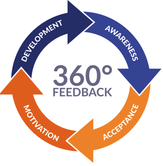 360° Feedback and psychometric assessment complemented the observed assessment, and were integrated as part of a Career Management Workshop held on the second day of the event. Participants then took part in a series of six high impact workshops to build gradually on a foundation of self-awareness. ​to be constrained by past habits"
Response to the programme has been overwhelmingly positive, both from the individual and business perspective. Since the initial pilot in 2013, and following the success of multiple subsequent programmes within Maintenance & Engineering, Human Resources and Inflight Services, flydubai has broadened the scope and reach of the programme. As the reputation and impact of the MDP has grown throughout the business, so has demand for additional cross-functional programmes. In the spirit of continuous improvement, Propel continues to evolve and adapt the programme based on participant feedback and evaluation of operational impact. By working in close partnership not only with flydubai’s HR experts, but also functional leaders and stakeholders. The Managment Development Programme continues to take shape as a truly holistic developmental experience for flydubai’s current and future managers.